Rack of lamb and potato salad - what could be more New Zulund than that? 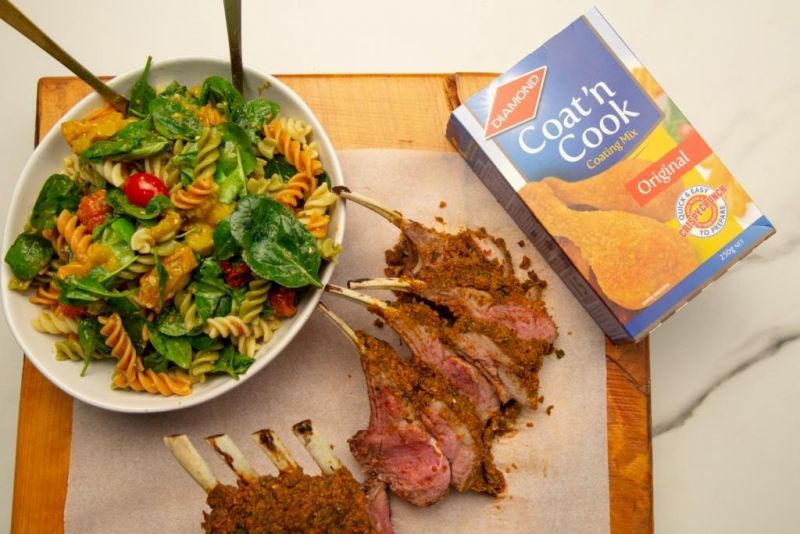 Herb crusted rack of lamb with a side of pesto and roast balsamic tomato pasta salad is a great combination sure to impress your guests! 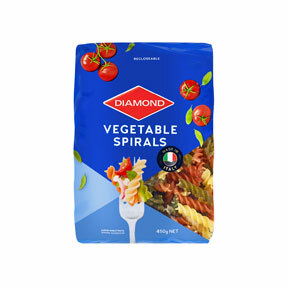 Cook the Diamond pasta according to packet instructions - drain and rinse under cool water. Set aside. Stir together Diamond Coat n Cook, parsley, mint, rosemary, salt, and pepper in a bowl, then drizzle with oil and toss until combined well. Season lamb with salt and pepper. Heat a drizzle of oil in a large heavy skillet over moderately high heat until hot but not smoking, then brown lamb 1 rack at a time, turning once, about 4 minutes per rack. Transfer to a roasting pan, arranging fatty sides up. Spread fatty sides of each rack with 2 teaspoons mustard. Divide bread crumb mixture into 3 portions and pat each portion over mustard coating on each rack, gently pressing to stick. Roast Lamb for roughly 20 minutes or until thermometer inserted diagonally 2 inches into center (do not touch bone) registers 55C (for medium-rare), and transfer to a cutting board. Rest for at least 10 minutes then cut into chops.